Lancelot Iredale was born in 1789 at Gateshead, Durham, England, son of a master craftsman. He married Sarah (d.1828, aged 39) in England before 1815 and had three daughters. He later married schoolteacher Kezia Bedford on 8 January 1829 at Sydney and had one son and four daughters. He died 16 June 1848, aged 59, and was buried at Devonshire Street Cemetery before being transferred to Bunnerong Cemetery. Lancelot Iredale trained as a blacksmith and was employed at Tyne Iron Works, Newcastle-upon-Tyne. In 1815, he and an accomplice were convicted of stealing iron bars and transported to Australia on the Mariner, arriving in Sydney on 11 October 1816. Iredale worked in the lumber yard, and then at Windsor and applied for mitigation of his sentence in 1819, receiving his conditional pardon on 31 January 1820. He was joined by his wife Sarah and three teenage daughters in 1827; his wife died in childbirth around a year after arriving in Australia. A few months after Sarah’s death, Iredale married Kezia Bedford who had travelled to Sydney to teach in mission schools; they had eight daughters (four died young) and a son. Lancelot Iredale set up a successful wholesale ironmongery and hardware business in George Street, Sydney, and by 1822 had several convict mechanics assigned to him. In 1832, his third daughter Mary married Ralph Hindmarsh (d.1842) who joined his ironmongery business. Another daughter Charlotte married her cousin Frederick Lassetter who took over the family business in 1867, initially in partnership with Lancelot Iredale’s nephew Robert Iredale. Lancelot Iredale’s real estate holdings included three properties in York and George streets and land at Newtown where he is remembered by Iredale Street. In 1834 the family moved into Auburn Villa in Surry Hills, designed by John Verge. He took his family to England from 1841 to 1843. Iredale was a philanthropist and was Treasurer of the Sydney Infirmary in 1837 and a member of Sydney Hospital and Sydney College committees. A devout Wesleyan, he was a financial supporter of the York Street Wesleyan Centenary Chapel. Lancelot Iredale was Councillor for Cook Ward, 1 November 1844 to 26 November 1847, and was a member of the Committee of Public Works in 1844. His nephew Robert was an alderman on Paddington Council in 1864-66. Additional information on Lancelot Iredale courtesy Martin Knight. 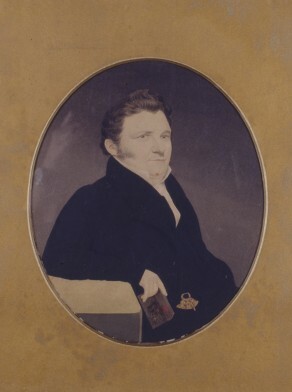 ‘Iredale, Lancelot (1789–1848)’, People Australia, National Centre of Biography, Australian National University, http://peopleaustralia.anu.edu.au/biography/iredale-lancelot-29259/text, accessed 29 January 2019. Bede Nairn, ‘Lassetter, Frederic (Fred) (1828–1911)’, Australian Dictionary of Biography, National Centre of Biography, Australian National University, http://adb.anu.edu.au/biography/lassetter-frederic-fred-3996/text6323, published first in hardcopy 1974, accessed online 29 January 2019.